LeBron James rocked the basketball world and many others when he announced his decision to leave Miami to return to his home state of Ohio and play again for the Cleveland Cavaliers. LeBron is certainly one of the world's top athletes. 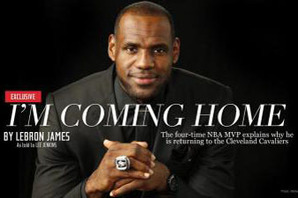 He's also one of the most recognizable brands, which makes his choice to "come home" more than just a basketball decision. It's also a marketing decision.